Telltale Games impressed us all last year with The Walking Dead and it's shorter spin-off dlc, '400 Days' in 2012 and 2013, so it was going to be tricky to live up to the high expectations after gamers played through both. The Wolf Among Us, based on Bill Willingham's comic series 'Fables' had been set the task of proceeding after The Walking Dead, but does it succeed? Thankfully, all signs point to yes. Fans of the comic will love seeing this prequel to the series (I myself am a fan of the comics), and placing players in the shoes of Bigby Wolf, Fabletown's chain-smoking detective, is a good choice. Bigby is a much-loved character in Fables and definitely one of the strongest. 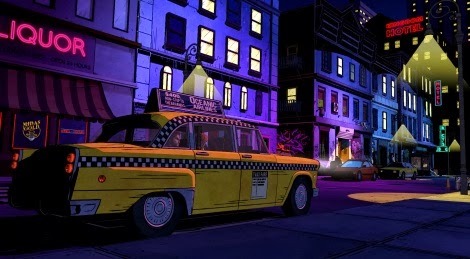 In The Wolf Among Us, players are introduced to the gloomy, run-down New York setting where a host of well-known characters from fairytales and fables are now forced to live after being forced out of their fantasy world, the Homelands. In order to stop the 'mundanes' (normal human beings) from finding out about their true existence each Fable has to purchase expensive magic called Glamour to hide their true form. All Fables who cannot afford to cover up their real identity are forced to live on a farm far enough away from the city so that they are not discovered. 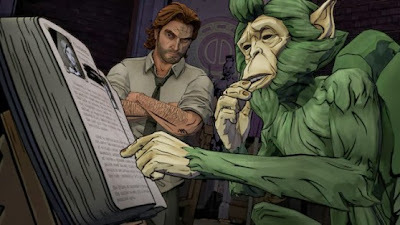 Following Bigby Wolf, Fabletown's chain-smoking, drinking and widely disliked detective, The Wolf Among us sees Bigby attempting to solve a grim set of murders, accompanied by the kind-hearted Snow White, by using his methods of deduction and interrogation. Being a fan of L.A. Noire, I loved the investigation sections of episode 1 around the crime scenes, the interrogating and the ability to piece together the suspects from the clues I have so far collected. The action is slightly more high-octane than in The Walking Dead, meaning that although the gameplay is pretty similar the action sequences are definitely rather different. 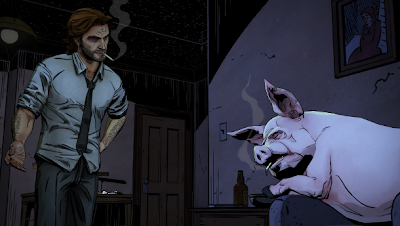 In The Wolf Among Us, there feels like much more of a struggle during the fighting. Not only does the gameplay work, but the script is top-notch. I genuinely was engrossed in the unfolding story and the characters, and am sure that this game will be the same as The Walking Dead in the sense that you will feel attached to the characters as the episodes go on. My only criticism would be that the frame-rate issues are pretty bad. Like The Walking Dead before it, the Xbox 360 version jumps and temporarily freezes during cut-scenes. 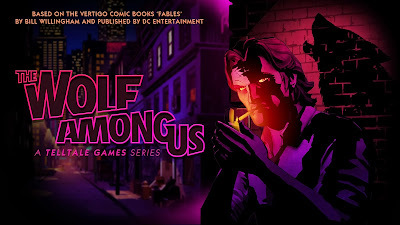 A dark, noir-style, intriguing and strong start to what looks certain to be a successful series, The Wolf Among Us: Episode 1 will not disappoint. Is this coming out on the pc anytime soon / already there? I am not currently looking for any guest bloggers. 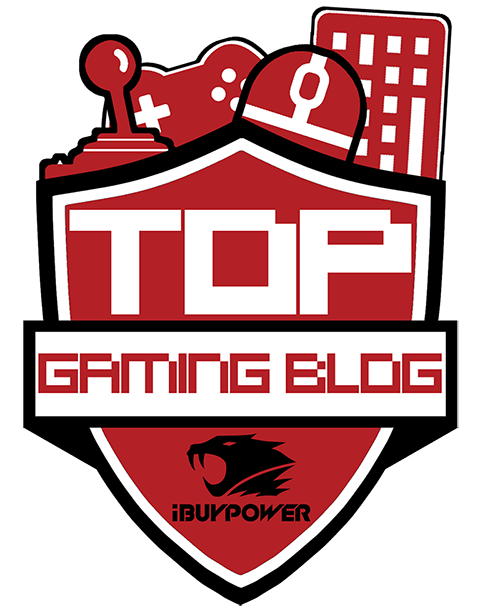 I have a friend who occasionally helps me to keep it up to date, but on the most part, 8-Bit Girl is solely a blog run by myself. I am more than happy to link exchange though.